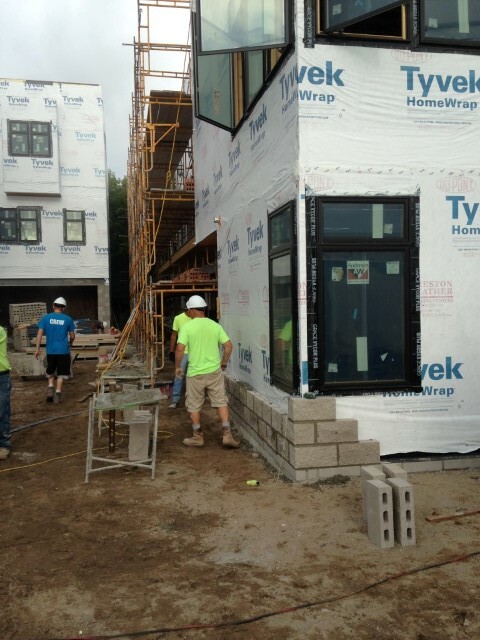 Rainbows, Bricks and Blocks | Midtown Development, Inc. 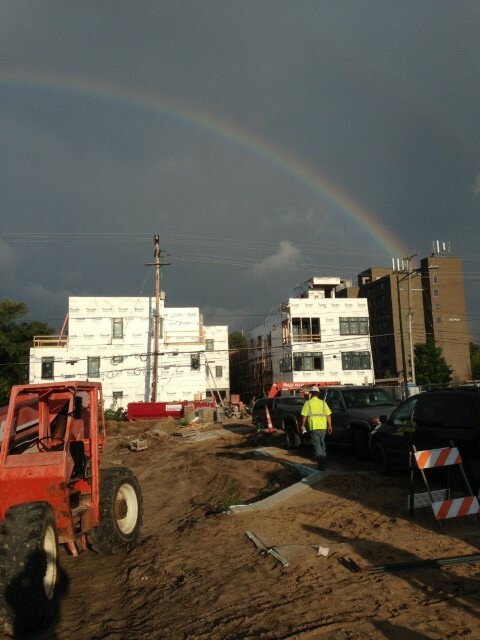 The crew from MJS Masonry started laying blocks this morning under a double rainbow. That’s a great sign, hey? Come on down for an Uptown Friday Tour tomorrow 4:30-6PM. Dave Whiteford is hosting. This entry was posted in News, Uptown Cityside Townhomes, Uptown-Riverfront living downtown TC and tagged Boardman river condos, Condo developments traverse city, Garden Roofs, new condominiums traverse city, Riverfront Condos, traverse city condos, Uptown, Uptown Condominiums, Uptown Condos, uptown riverfront townhomes, Uptown Traverse City. Bookmark the permalink.